In January 2019, European Commission issued the reflection paper Towards a Sustainable Europe by 2030 we wrote about in our recent February blog. 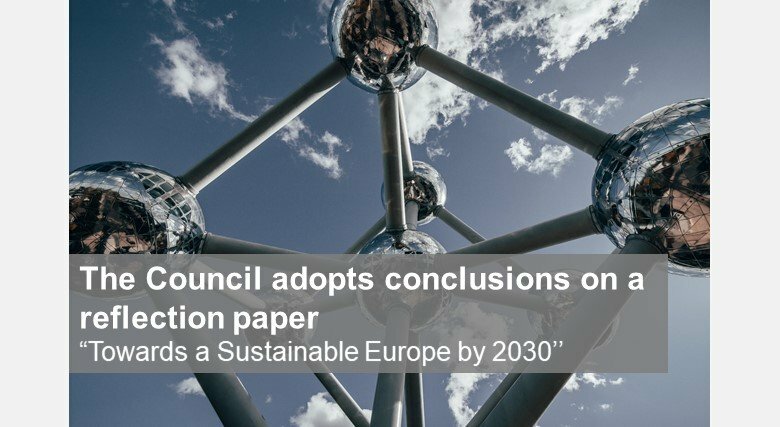 On the 9th of April, the Council of the European Union (the Council) responded to the paper by issuing a set of conclusions underlying the paramount importance of sustainable development for the European Union (EU), emphasising that it is in the EU’s interest to continue to play a leading role in implementing the 2030 Agenda. Strengthening partnerships and stakeholder participation. In the first section, the Council welcomes the European Commission’s Reflection Paper ”Towards a Sustainable Europe by 2030”, pointing out that “sustainable development lies at the core of the European Union, as set out in the Treaties, and that the principles of the 2030 Agenda are embedded in the principles and values upon which the Union is founded”. Also, the Council emphasizes the EU’s leading role in driving the implementation of the 17SDGs forward “in partnership with the United Nations, through reaffirmed and enhanced multilateralism, and shared values”. In the second section, the Council states that “there is a strong and urgent need to shift to a comprehensive, overarching and ambitious approach at EU level, which builds upon elements of the scenarios presented in the Commission’s Reflection Paper” and that this approach should guide present and future actions at EU level, “in particular during the next legislative term, which will be crucial for delivering on the SDGs”. Moreover, the Council stresses that the main policy foundations for a sustainable future of Europe as well as the principles of the 2030 Agenda and its 17 SDGs should be taken into consideration in the discussions on the next EU Strategic Agenda 2019-2024. In its third section, the Council recognizes the need for a global action regarding the EU as “a firm supporter of the multilateral approach to tackling global challenges”. This support should be deployed through “policy dialogues and development programmes based on the 2030 Agenda and its SDGs”. In the last section, the Council reminds that the implementation of the Agenda 2030 cannot be achieved without the enhanced collaboration at all levels and among all stakeholders. Also, the Council places an emphasis on the role of the private sector in achieving the SDGs, through “market-based partnerships, investments and business models in line with Responsible Business Conduct (RBC) and Corporate Social Responsibility (CSR) principles” and underpin a robust EU policy framework. The conclusions of Council demonstrate the urgency of realizing the 17SDGs by 2030 and that the principles of the 2030 Agenda must be included in the new framework of the next EU Strategic Agenda 2019-2024. Emphasising the importance of global action and enhanced cooperation of all stakeholders, the Council points out the common truth that only by working together can we achieve great things for humanity and the planet, and it is our responsibility to safeguard a prosperous future for the generations to come. When the future of the planet and our shared prosperity are at stake, then there is no excuse for inaction.